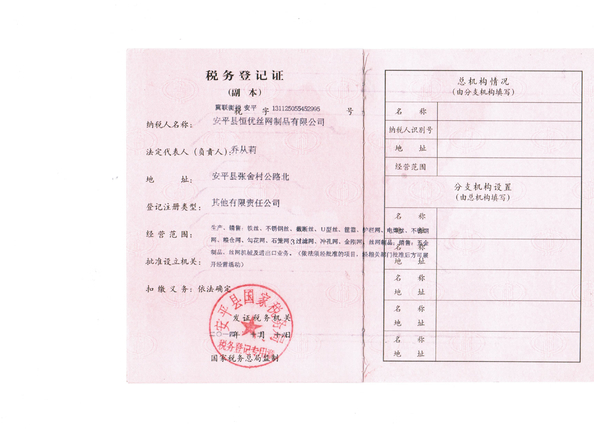 1) Wire diameter: 0.10mm-0.55mm (common wire through is: 0.20mm - 0.25mm) In addition, a number of shares of wire twisted woven. 5)Width range: 40mm, 80mm, 100mm, 150mm, 200mm, 300mm, 400,500 mm, 600mm, etc. 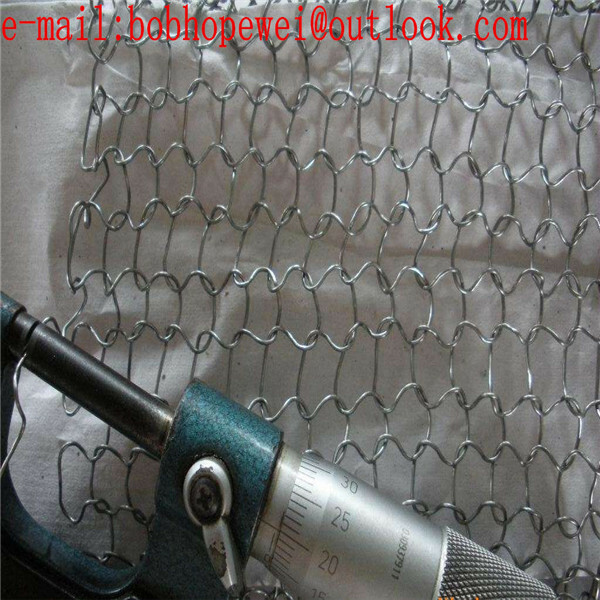 6)Woven Style: single wire,double wire etc. Wire type: flat wire or round wire. Round wire: 0.08 mm - 0.5 mm. 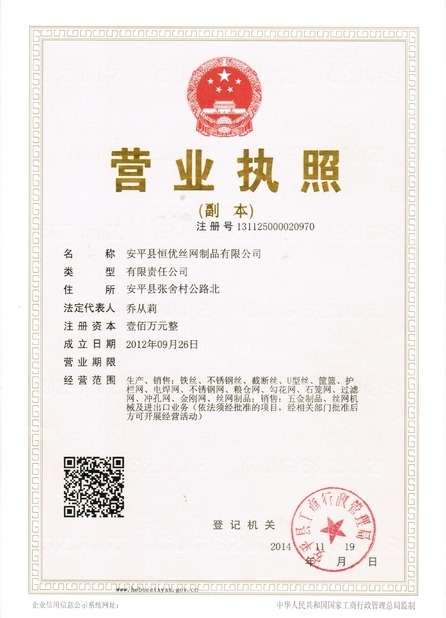 Flat wire: 0.1 mm x 0.3 mm, 0.1 mm x 0.4 mm, 0.2 mm x4 mm, 0.2 mm x 0.5 mm. Mesh opening: 2 mm x 3 mm, 4 mm x 6 mm to 12 mm x6 mm. 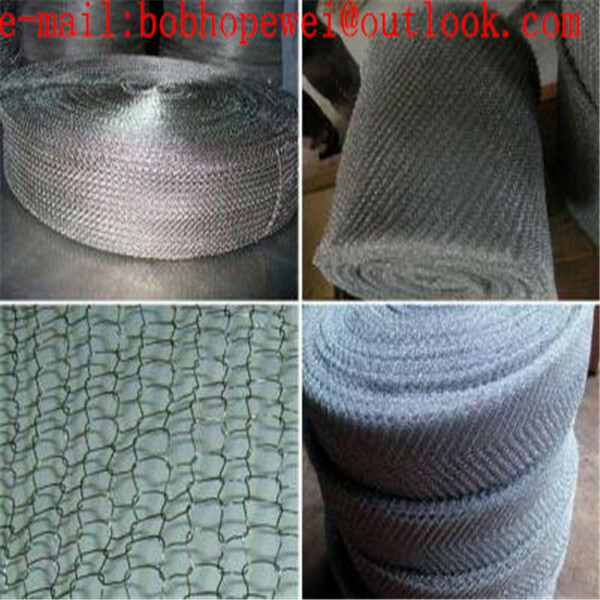 l Knitted wire mesh is widely used as demister pads for gas and liquid separators. 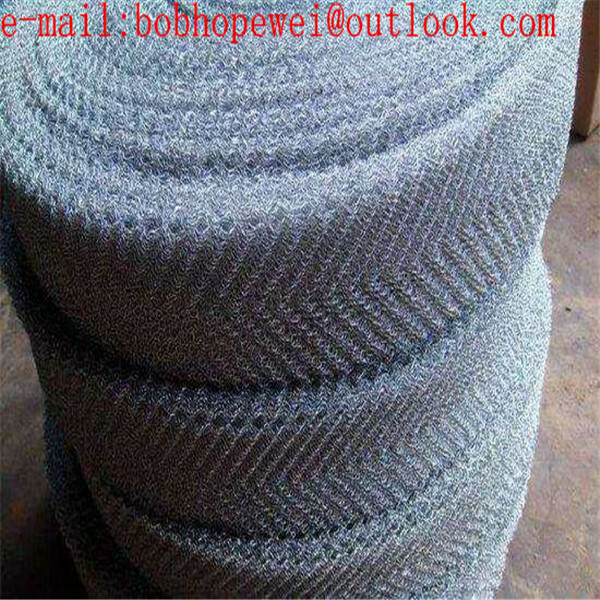 l Knitted wire mesh can be used for cleaning machines, kitchens and other components and parts. 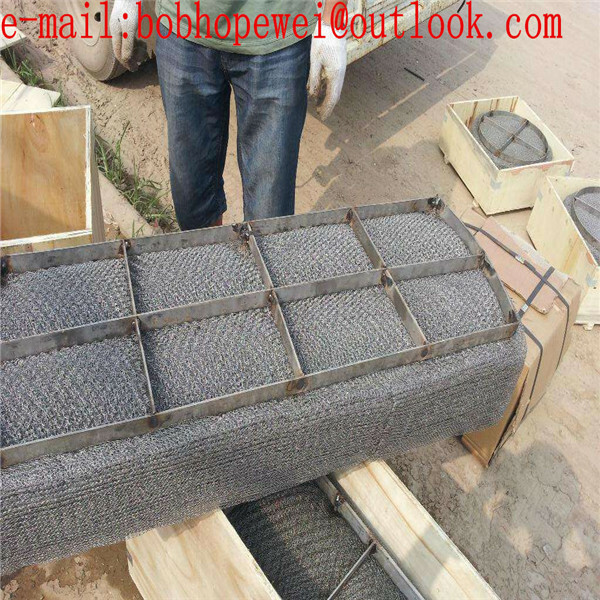 l Compressed knitted wire mesh can be installed in the engines to decrease noise and reduce shocks. 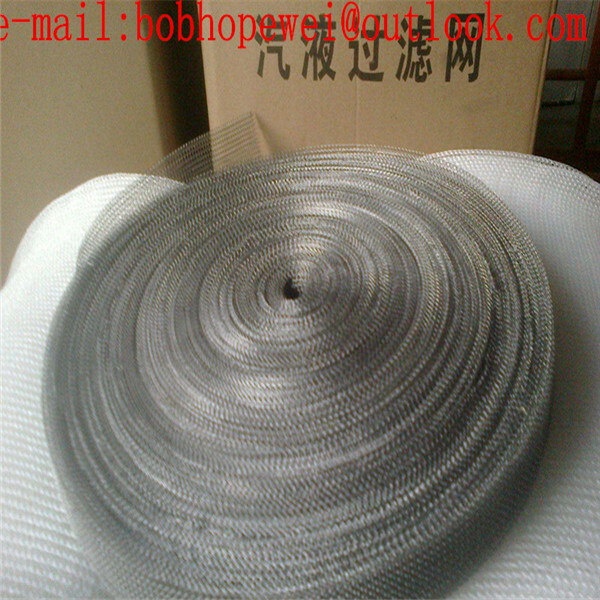 l Knitted wire mesh can be used as shielding mesh for EMI/RFI shielding.